This beautiful SR500 from the the guys at Matsumaru Speed & Customs in Japan won best domestic bike a few years ago at Moon Eyes Hot Rod show. So simple and understated. We love everything about this bike. Do yourself a favour and check out the Matsumaru Gallery. 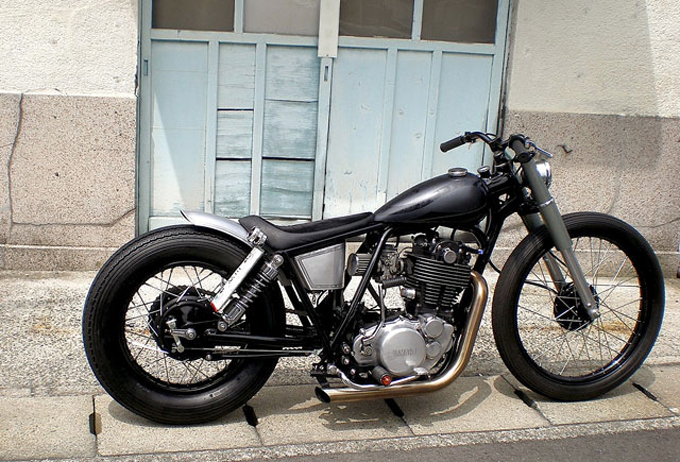 There’s so many bikes on their site for inspiration or just to drool over. If you like the SR500 check out this short video at the Moon Eyes Show shot by DBBP.